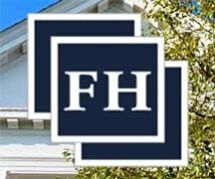 From our law office in Hudson, New York, the attorneys at Freeman Howard offer exceptional representation and support in a variety of legal areas to help you with all of the serious and complex legal challenges affecting your life and livelihood, your property, your business, and your future. Our driving mission is simple: We promise to provide you with the personalized, one-on-one attention you deserve so that we can better serve your needs and help you achieve your specific goals as efficiently and as cost-effectively as possible. As we are all natives or longtime residents of the Hudson Valley, we have a genuine interest in helping everyone in need in our communities, and our attorneys have invaluable knowledge and insight into our area's court systems and procedures. This means you can expect to receive the quality legal counsel you need from a local attorney you can trust with your most sensitive legal matters, and we will remain with you until the resolution of your case to ensure we have done all we can toward helping you achieve the positive results you expect. To find out more about how Freeman Howard can best serve your needs, you can contact our law office to schedule a consultation.